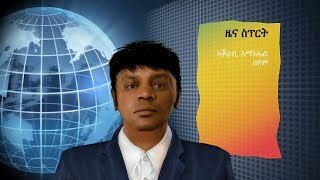 Instead of showing remorse and mending their erroneous ways, the People’s Front for Democracy & Justice (PFDJ) and its supporters in their non-stop “Mekete” meetings both inside and outside of Eritrea, appear to have irrationally decided to entrap themselves more, and in their resistance have come up with badly informed words and arguments. Is their behavior that crude? Or is there something else also at play here? 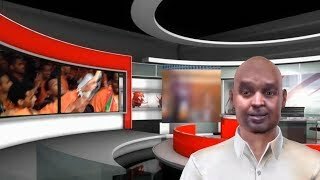 Considering its insatiable appetite for hard currency, it is possible that the PFDJ is trying to milk the sanctions for what they are worth, before they take effect by appealing to “Eritrean patriotism.” It so happens that we have among us, some Eritreans who are still easily hoodwinked by the PFDJ. 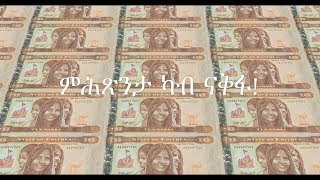 These gullible Eritreans will lose their hard earned money; it appears that they have not yet wizened up from bitter experience. Once the PFDJ replenishes its coffers of hard currency, it may take a roundabout turn and may completely comply with all the directives of the UNSC’s resolutions. There is a very strong possibility that this scenario may be at play here. In its appeal to “patriotism,” the PFDJ is in the habit of referring to the sanctions as “the illegal and vicious US sanctions resolution adopted in the name of the Security Council.” So much so some naïve Eritreans have wrongly taken these to heart and assume that the sanctions are “illegal” and moreover they presume that the sanctions have nothing to do with United Nations and rather much to do with the USA. It is lost to them that once the UNSC imposes the sanctions then these punitive measures are not owned by a single nation like the USA. On the contrary, the sanctions are legally owned by all members of the United Nations – that includes Eritrea and I might add Ethiopia too. Also, the sanctions cannot be illegal (more of that later). One can in principle argue that the sanctions are unjust or unfair, though to speak for myself, I do not believe so. However, based on the law, are the sanctions “illegal” as the PFDJ is claiming? The word illegal is a loaded word, and it boggles the mind that the PFDJ is suddenly in infatuation with the law. Can the PFDJ and its supporters pinpoint to us to a single rule of the United Nations that allege the sanctions imposed on Eritrea are illegal? According to Webster’s New World Dictionary, “illegal” is defined as: “prohibited by law; against the law; unlawful; illicit; also, not authorized or sanctioned, as by rules.” Is the UNSC “prohibited by law,” to pass the sanctions it imposed on Eritrea? To understand whether the sanctions on Eritrea are legal, we need to cover some elementary and basic facts about the UNSC pertaining to our issues. The following are the most important points. “The United Nations Security Council (UNSC) is one of the principal organs of the United Nations and is charged with the maintenance of international peace and security. Its powers, outlined in the United Nations Charter, include the establishment of peacekeeping operations, the establishment of international sanctions, and the authorization of military action. Its powers are exercised through United Nations Security Council Resolutions. There are 15 members of the Security Council, consisting of five veto-wielding permanent members (China, France, Russia, United Kingdom, and United States) and ten elected non-permanent members with two-year terms. This basic structure is set out in Chapter V of the UN Charter. Under Article 27 of the UN Charter, Security Council decisions on all substantive matters require the affirmative votes of nine members. A negative vote, or veto, also known as the rule of "great Power unanimity", by a permanent member prevents adoption of a proposal, even if it has received the required number of affirmative votes (9). As the words above denote the UNSC is legally designated to maintain peace and security in the world. As to our subject in question: sanctions – what are the procedural requirements that the UNSC has to follow when it orders resolutions on sanctions? And on what rules are those sanctions based? First and foremost, it may be necessary to draw attention to the fact that it is not routine for the UNSC to impose sanctions. For sanctions to be imposed there are two tests that need to be met. The first requirement is that a veto-wielding power nation should not oppose the sanctions; this hurdle is very difficult to clear, since the five veto-wielding power nations are usually not in the same wavelength, bearing in mind that they have varied national interests that are in variance with each other. That the first hurdle was cleared so easily in the case of Eritrea is something that we, Eritreans, have to seriously contemplate of the gravity of the sanctions, and that we have to come to terms with the fact that we are harboring a rogue regime in our midst. Once the first hurdle is cleared, the second test requires yes votes of nine out of the total fifteen members of the UNSC. The second test is a very easy requirement to fulfill; for all intents and purposes, the second requirement appears to be only a formality. And only when the two tests are met do sanctions take effect. In simplistic terms, these are how the procedural rules of the UNSC work regarding sanctions and other resolutions of great consequence. That the UNSC imposed sanctions on Eritrea is either an aberration, or that Eritrea is now internationally recognized as a pariah nation. If it were an anomaly, how come such an incongruity was unrevealed to Russia, China, France, the UK and even the USA? I for one believe that Eritrea is not a normal nation, where the rule of law be it internal or external is respected; the lawless nature of the PFDJ regime finally caught up with it in the world arena. The sanctions have placed Eritrea in the same bad company of such nations -- Rhodesia during Ian Smith, South Africa during the apartheid leaders, Iraq during Saddam Hussein, and Liberia during Charles Taylor. There is no other name for this except disgrace and humiliation. There is also a need to clarify that as it is very difficult for a nation to be sanctioned, it is also knotty for the sanctions to be lifted once they are imposed. In order for the sanctions to be lifted, a nation in such a quagmire has to satisfy the requirements that are asked of her by the five veto-wielding power nations; in essence there are five Kings lording over a poor nation, who invariably have divergent requirements as stated above. Strangely enough, some in the opposition are captivated by this tricky prospective lifting of the sanctions that so much so they opted to oppose the arms embargo sanction (more of this later). It does not make sense to me. I believe we have to cross the bridge of liberty first, instead of unnecessarily wracking our brains of what will transpire in a post PFDJ. If we are fortunate enough to arrive at our destination of freedom, then we tackle the lifting of the arms embargo sanctions from our back, when such mundane issues stare us straight in the face. For now, the lifting of the arms embargo sanction, sometime in the future, should be the least of our worries, since we do not even know how the PFDJ will behave when the time of reckoning arrives. 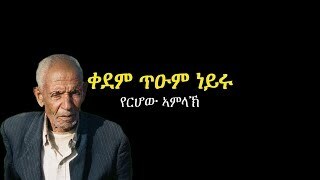 For all I know, the PFDJ, when cornered and consistent with its past behavior, may shamefacedly comply with all the UNSC’s directives and requirements; in the final analysis, all its bravados and boastings may amount to nothing. As to be expected the supporters of the PFDJ try to link the arms embargo sanction with the yet unresolved Eritrea-Ethiopia border conflict, though the text of the sanctions do not bring Ethiopia into the equation. In a nutshell, they allege that the arms embargo will create a military imbalance between Eritrea and Ethiopia and that this will favor Ethiopia to the disadvantage of Eritrea. It is unfortunate that some in the opposition, who incidentally I have tremendous respect of, have also accepted such a maxim, though coming from a different angle. I believe this emanates from having an exaggerated and embellished view of Eritrea’s economy and the size of its population in comparison with that of Ethiopia. Such people assume Eritrea to be in par with Ethiopia in all matters of economies. Is that so? To do a real service on this important matter of military balance, one has to examine and compare the size of the economies and demographics of Eritrea and Ethiopia. Arms embargo sanction or not, this significant issue will be with us for ever. Once armed with such facts and figures a reasonable person will recognize that the attainment of a military balance between the two nations, absent of bankrupting the Eritrean nation, is a self-delusion and fantasy. Based on Table 1 above, the GDP of Ethiopia is equivalent to the GDPs of about 14 Eritreas of the world. Or to put it differently, the Eritrean economy is as small as 6.9% of the Ethiopian economy. Since the PFDJ is pretending to compete with the USA, it may be necessary to bring to light that the economy of the USA is comparable to the economies of about 3,608 Eritreas of the world. Knowing one’s limitation is a sign of wisdom. In boxing terms, Eritrea will be fortunate to be in the class of economic featherweight, while the USA is in the class of the economic heavyweight; the PFDJ should not try to punch beyond its economic weight, otherwise it is lethal to its health. Again based on Table 1, the population of Ethiopia is about 15 times larger than that of the population of Eritrea. In other words, for a one Eritrean soldier, Ethiopia if it so desires can field 15 Ethiopian soldiers just in order to keep the relative balance between the two nations unaffected. While that the population of the USA is about 54 times larger than the population of Eritrea. Naturally, from this follows a vital truth -- there never will be a military balance between Eritrea and Ethiopia that is in tune with the respective size of their economies and the numbers of their populations. Parity in a military balance can be only imprudently achieved by bankrupting Eritrea and driving the Eritrean people into a wretchedly poor level of existence. Otherwise the numbers do not favor Eritrea to match Ethiopia’s military capacity. An asymmetrical military balance that favors Ethiopia is a natural result that Eritrea cannot avoid. Eritrea cannot compensate for its relative weakness in its demographics and its economy through a relatively superior technology. Right now, the technology of Ethiopia, if not equal to that of Eritrea, may be even higher than that possessed by Eritrea, since I surmise that unlike Eritrea, Ethiopia has a relatively stable and adequate educational system of a long standing. In other words, there is no way Eritrea can play the role in the Horn of Africa akin to the role that the technologically advanced Israel plays in the Middle East. Right off the bat, this means that there is already a big military imbalance between Eritrea and Ethiopia. Just because of its relative large size, Ethiopia already has an upper hand over Eritrea in military matters. The marginal impact of the arms embargo sanction on Eritrea in the military balance between Eritrea and Ethiopia is almost zero and negligible. People who believe that such an embargo will suddenly put Ethiopia militarily on top in the Horn of Africa are hallucinating, since Ethiopia is already relatively a giant in the Horn of Africa. The sad part is that we may have among us still people who harbor war mongering mentality. The PFDJ is seriously afflicted with such malady. To elaborate more, for example, there is a huge military imbalance between Canada and the USA. There is nothing Canada can do about that, since it is relatively much smaller in terms of its economy and its population compared to the USA. The economy of the USA is equivalent to the economies of about 11 Canadas of the world; and the population of the USA is about 9 times larger than Canada. The only thing Canada can do is to learn to live in peace and harmony with its giant neighbor. In fact, the USA and Canada are the best trading partners and that their economies are so interlinked and harmonized that it is almost impossible that war can erupt between these two nations. Eritrea and Ethiopia should learn such valuable lessons from the Canadian-American friendly relationship. Eritrea should have an army that is commensurate with its economic size and its demographics. To maintain parity in military balance with Ethiopia will result in enslaving the whole Eritrean youth in unproductive service in the army. This is a big drag to the economy. There is another road Eritrea can take. It should be in the forefront of peace. One of the best historical proven roads of salvation from poverty and towards the advancement of economic prosperity is to have free trade. Eritrea should pursue unfettered trade and the movement of capital and labor with all its neighbors in the Horn of Africa, and in particular with Ethiopia. Eritrea under the PFDJ is an extremely abnormal nation that does not trade at all with its neighbors since it is at odds of one sort or another with all of them. The economy of Eritrea is nothing but autarky – hence tremendous poverty. Nations whose economies are intimately interlinked do not resort to war to solve misunderstandings unless led by unstable and paranoid leaders. This is one of the best ways of avoiding wars, conflicts and large armies. First things first though -- all peace loving and democratic Eritreans should hope that the UNSC’s sanctions get more tightened and help in finishing off the PFDJ from its existence in Eritrea.